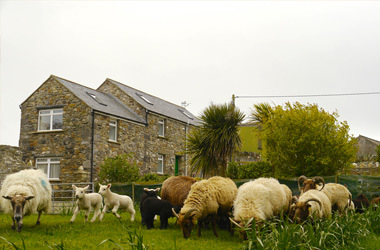 The Stable at Glendown Farm comprises self catering accommodation for up to 6 guests and is located near to both Port Erin and Port St Mary in the south of the Isle of Man. 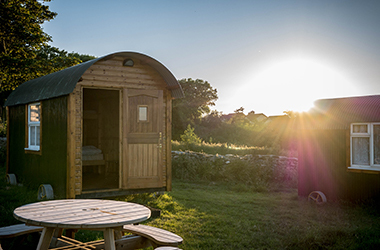 The location provides the ideal base to explore what the Island has to offer with the tasteful cottage providing the perfect retreat for when you are ready to relax after a day out and about in the Manx countryside. The southern tip of the Isle of Man is renowned for its beauty with many great walks on your doorstep and the picturesque Cregneash village only minutes away. The rugged coastline also provides some breathtaking scenery and an abundance of wildlife including the rare Chough, Seals and Basking Sharks. You can enjoy great walks right from The Stable doorstep in some of the Island's most beautiful countryside. No matter whether you are a road cyclist or mountain biker, the South of the Isle of Man is a superb base for riding. Ample, safe off-road parking in the stunning Manx countryside makes The Stable an ideal base for visiting bikers. Make the most of the Isle of Man's dark skies on your visit with great stargazing right from your accomodation. Ready to book your country escape?